A joint venture of Belgian developer Equilis and Acteeum Group is planning to develop the Galeria Chełm shopping centre at the junction of ul. Rejowiecka and Lubelska in Chełm. 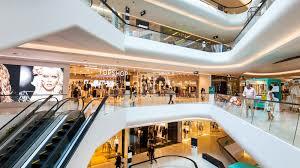 The 17,500 sqm centre with 55 stores is to be completed in the second half of 2019 in an investment of EUR 30 mln. The construction is expected to start this year. “Galeria Chełm is already 70 pct leased, which shows the very high demand for this type of development in this city,” says Tomasz Szewczyk, the managing partner of Acteeum Central Europe. The company has so far been involved in seven retail projects with a total leasable area of 250,000 sqm, including VIVO! Stalowa Wola and VIVO! Krosno (both developed in partnership with Immofinanz); Galeria Wołomin and Galeria Tomaszów (with NEPI Rockcastle); Galeria Solna in Inowrocław (developed with Libra Project and sold to EPP in 2017), and the expansion of Ogrody in Elbląg and Sarni Stok in Bielsko-Biała (with CBRE Global Investors). This will be one of the first projects in Poland For Equilis. Previously the company completed Bukowińska Residence with 100 apartments and 4,600 sqm of retail in Warsaw’s Mokotów district. “Equilis was built on retail. Our decision to enter Poland is a result of the country’s stable economy, which is driving the booming real estate market,” says Monika Woźniak-Zawioła, the CEO Equilis Poland. Equilis was founded in 2006 by Carl Mestdagh as a retail real estate developer in Belgium. The company now has office, retail and residential developments in France, Spain, Luxemburg, the Netherlands, Portugal and Poland.